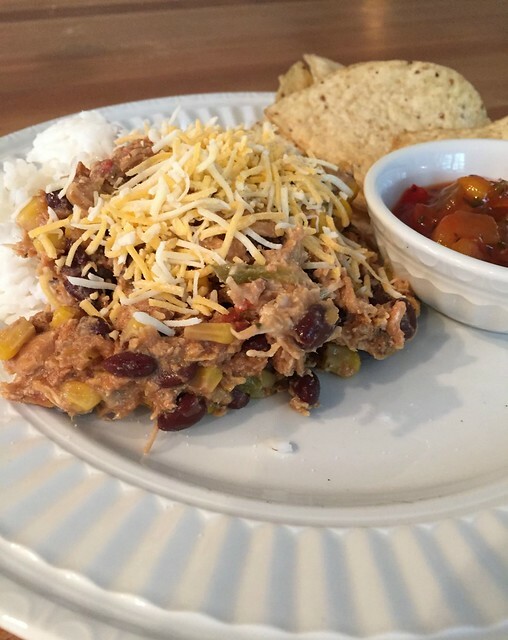 Although slow cooker meals are often perceived as those “comfort foods” we tend to make in Fall or Winter months, I use my slow cooker on a regular basis throughout the Spring and Summer months to make simple, home-cooked meals without much time in the kitchen (and without adding extra heat to the kitchen). I might not make as many soups or stews as I would in colder months… but I assure you, slow cooker recipes are not just for cold weather! Today’s recipe is a family favorite — and it’s perfect for warmer weather. 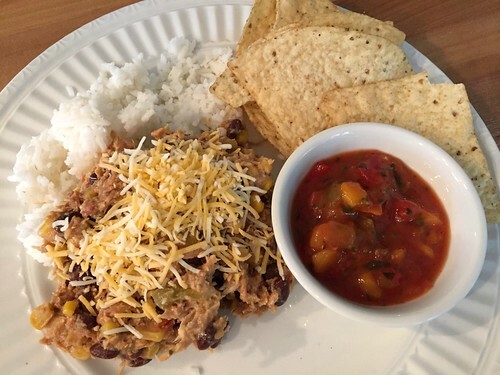 This mango chicken salsa can be eaten with a side of rice, rolled up in a tortilla for a tasty wrap, or even eaten as a dip for tortilla chips. 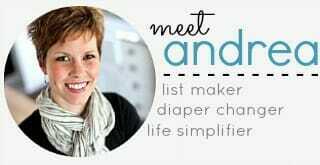 It’s so quick and easy to make, it only uses a few ingredients, and it’s a great option for a busy weeknight when the family is running to and from various activities. 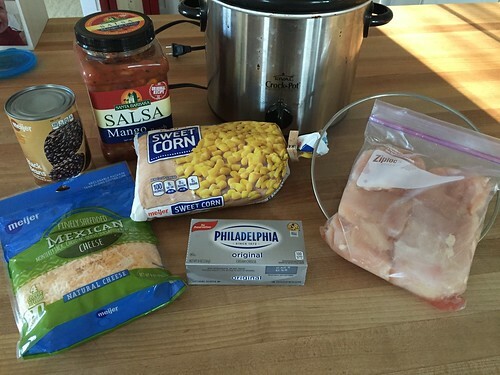 Place chicken, salsa, beans, corn, salt, pepper, and any extra seasonings into a medium-size slow cooker. After chicken is cooked through, use forks to shred the chicken and stir it into the salsa, beans, and corn. Stir cream cheese and shredded cheese into chicken mixture until melted. Serve with rice, in a tortilla, or as a dip for chips. 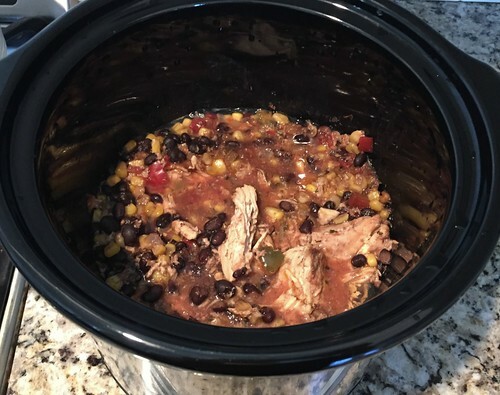 When I make this meal, I usually dump everything into the slow cooker as I’m cleaning up our second breakfast (usually around 10:00am) but if you want to do it first thing in the morning, I’m sure it would be completely fine to add a couple hours onto the cooking time. 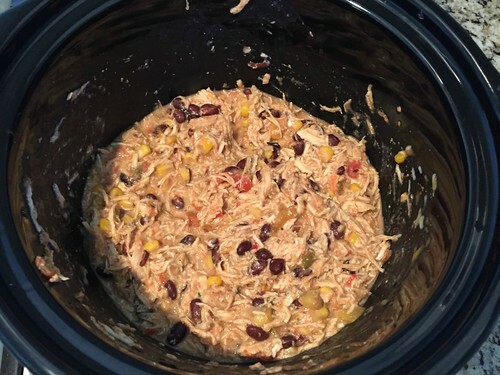 Also, if you’re taking this to a party, or if you just have extra time before you’re ready to eat, simply cover the slow cooker and turn it on warm — it will keep the cheese nice and melty for hours! Of course, any type of salsa will work — we just LOVE the peach mango salsa from Costco, and mango salsa seems more “springy” to me. And if you like your food spicy, feel free to add in a bunch of spices to liven things up a bit. We keep seasonings pretty tame since our kids don’t like any spice, but I’m sure this dish would be fabulous with a little heat! 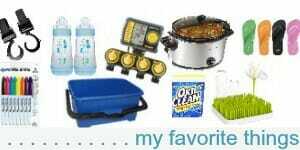 Do you use your slow cookers all year long? I made this today, using “regular” salsa. It was delicious! My crock pot seemed to steam up the kitchen quite a bit, so when I make this again in a few weeks, I’ll let it cook in the garage. yay! glad you liked it! Isn’t it SOOO easy! I made this for dinner tonight and it was delicious! 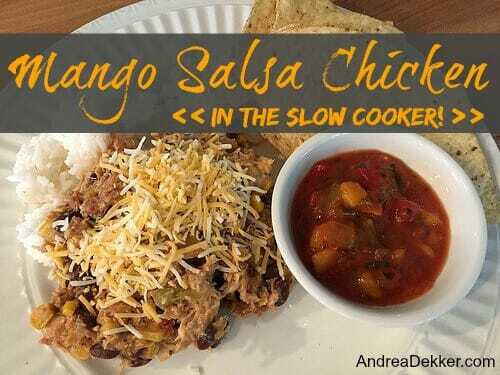 We added no extra seasonings, just using the Peach Mango Salsa from Costco. It seemed kind of like chili in consistency, but was just missing the heat that my kids don’t enjoy, anyway. I appreciate not having to do much prep work to get the meal set to start in the morning, too. Nice recipe! Our kids appreciated the “not so spicy” aspect of it too! Being made on a cold Friday morning in South Africa! Will make a quick stop at the stop to see what I can find in the line of mango salsa…maybe just cubed mango, or some tinned version? Will see what I can come up with. This looks so good! I’ve never tried mango salsa before but it sounds delicious? Do your kiddos like to eat it too? Do both Nora and Simon eat this? My son is the same age as Nora but really hates anything with spice. It looks yummy! Thanks! Yeah, they like “Mexican” food (but I don’t make anything spicy for them). In general, I do NOT like anything spicy and I love mango salsa. I suppose it depends on the type and brand of salsa you buy, but our mango salsa has very little (if any) “spice” to it! I have heard that it is good for baked potatoes, so I will at least try doing that this summer. It gets too hot to use the oven and we don’t have A/C, so I plug it in on the deck. Mine gets used for making stock more than anything else. I’ve never made a crock pot meal other than pulled pork (on the deck), for some reason. yes, I do baked potatoes in the slow cooker ALL the time! Yum! 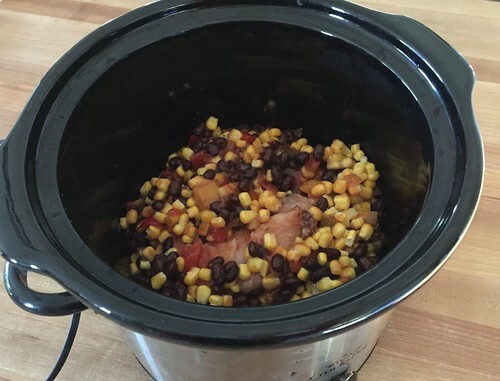 We still use our slow cooker a lot in the summer. I hate having the oven on and heating up the house. 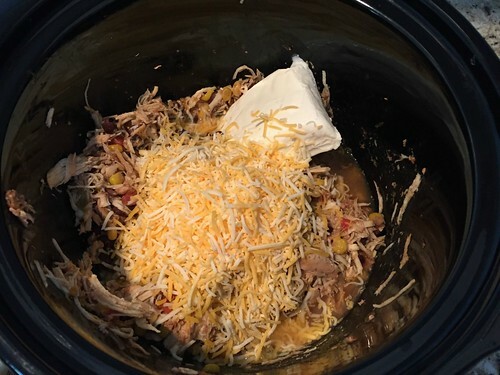 I at least use the slow cooker to cook plain chicken so that we have shredded chicken on hand for all kinds of recipes. 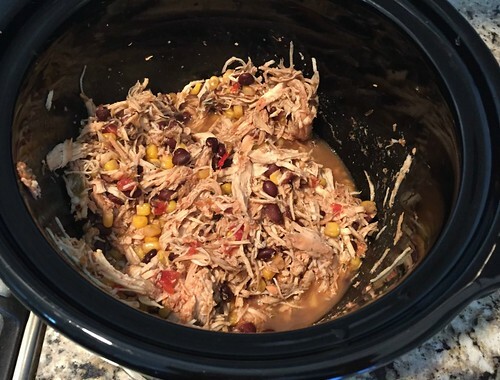 yeah, we do lots of shredded chicken and shredded pork in the slow cooker year round. It’s so easy and good with so many side dishes! I just made this last night and used can corn instead of frozen. It’s so good!